International investment is investing via a wide range of potential strategies, to capitalise on advantages offered outside your home country. It’s an investment approach that increasing numbers of international professionals and expatriates are exploring, particularly since it has become far easier to do so with the emergence of index trackers and exchange-traded funds (ETFs). This comprehensive guide arms you with all the essential international investment facts you need to inform your own personal decision making. He can no longer take advantage of any of the tax-free offerings in the UK such as ISAs or pensions, he is living in a different time zone, he is earning and using a different currency day-to-day, and he is surrounded by a whole world of new financial opportunities. Why would this man limit his investment choices to those available in a country he’s left behind? And, having an awareness of the workings of two first world economies – Britains and Australia’s – he is equally as unlikely to want to commit all his money to investing in Australia alone. So, it makes no sense for him to have an old or a new home-country bias: he needs to explore the offshore investment opportunities open to him and get some expat investment advice. Therefore, for anyone living abroad, it makes sense to consider investing internationally. You’re not alone if you’ve never considered investing anywhere other than your home country before. Many people are unaware of the offshore investment opportunities that exist. What’s more, for some people it’s a case of ‘better the devil you know’ when it comes to managing money. Because, as investment companies say all the time, the value of any investment can go down as well as up, and so sticking to what you know reduces risk – at least in the minds of some investors. Sticking to what you know could actually be limiting not only your choice, but also the potential returns of any investment you make. What’s the difference between offshore and international investment? The term offshore investment is synonymous in many people’s minds with illegally stashing cash out of reach of the taxman. In actuality this is just a myth perpetuated by the media. Offshore investing and international investing are one and the same: the terms are used interchangeably. Offshore simply means a jurisdiction or country other than the one in which you’re living. For the record, when we talk about investing abroad we aren’t suggesting putting your money in some badly regulated, semi-legal island state where there are no rules, and where you have no protection! Offshore centres and international jurisdictions utilised by most expatriates are those offering high levels of statutory consumer protection. Investments made are completely geographically portable. And they are manageable by you or your wealth manager no matter where you’re from, where you move to, or even where you want to retire or if you want to repatriate. Ultimately, by going offshore the jurisdictions available and solutions on offer deliver expats like you the widest possible choice. Why should expats consider offshore investment opportunities? For investors seeking the best financial opportunities, a home-country bias can restrict returns significantly. Yet it’s still the case that most investors commit the majority of their funds to their own home market, mainly because of a fear of the unknown. But…anyone who’s got an iPhone, a BMW, Gucci sunglasses or even an IKEA sofa trades globally, supports economies around the world, and diversifies their spending base. So why not think in the same way when seeking an investment approach? 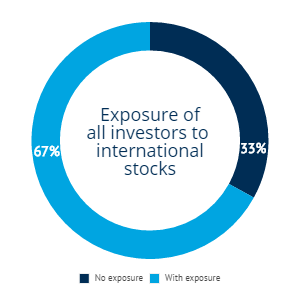 Fidelity Investment looked into home-country bias in the US and discovered that American investors keep about 72% of their investments in-country, and about a third of all investors have absolutely no exposure to international stocks at all. Since 1950, a sample and theoretical portfolio of 70% U.S. stocks and 30% international stocks could have returned 11.4% a year. That’s 2% more than a straight S&P 500 portfolio, with 10% less risk. Other countries have stronger and strengthening currencies. For non-professional investors, knowing where to look and invest and precisely when to commit was all but impossible before the proliferation of exchange-traded funds and index trackers. Nowadays it’s incredibly easy for anyone to develop an international investment portfolio. Investing offshore offers expats a highly flexible solution. Taking an international approach to investing enables you to make and meet financial plans for your future, without the inconvenience and disruption of needing to re-establish new plans and solutions every time you move. Your investments will always travel with you. As an organisation, we believe that unless your needs are complex, or the sums involved are significant, (in excess of £250,000), then the cost of professional expat investment advice may mean it’s best for you to do it yourself (DIY). Nowadays, thanks to the amount of information accessible from books and on the Internet, and the number of guided investment solutions and offshore investment platforms available online, it really is possible to manage your own international investment portfolio. You can choose to do it all yourself directly, or take a low-cost, guided approach to investing internationally. If you prefer to seek advice, ensure it is expert and professional advice from a Chartered Financial Planner. Their advice should be clear and impartial guidance focused on planning where you’re going before you even begin investing. It should always be integrated with investment management for the best outcome. Note, financial advice and investment management are not one and the same thing. Choose the type of firm you deal with carefully, resist the temptation to take investment or financial advice from someone you socialise with, who comes to your house, cold calls you at work, promises you quarterly reviews or someone who encourages you to think of them as your friend. 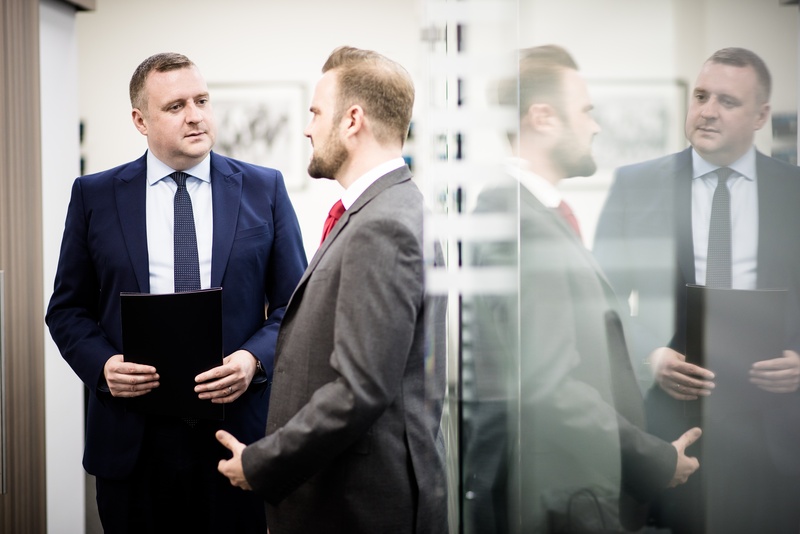 And do your own due diligence to ensure you’re speaking to a Chartered Financial Planner who is independent – one who is not tied to any single bank or financial product provider. America is home to only 4.5% of the world’s population, living on just 6.6% of the globe’s land, and yet America produces 22.5% of the world's total gross domestic product and represents about 48% of the world’s stock market value. However, an American who has a home-country bias, perhaps locked into the belief that theirs is the most successful nation on the planet, will fail to have realised that more than three quarters of the world’s economic activity is happening somewhere other than America. And for the rest of us who probably live in far less successful countries (! ), most of the world’s economic activity is happening beyond our borders. So there are a number of reasons why we all need to take an international view of our path to investment success in order to reach our financial potential, especially those of us who are expats. You no longer have to be a professional trader to invest internationally. You don’t even need to have any expert knowledge about different asset classes, commodities or currencies to take advantage of the international investment opportunities that abound. Passive investments, sometimes called index funds or tracker funds, enable you to invest your money without having to try and guess or time the market. The objective of these types of fund is to match a specific index, rather than trying to beat it. After all, it is unwise and unprofitable to try and out-think or guess the stock market. 97% of these passive investment funds beat active investment funds that try to play the market, net of fees and charges. And US$7 trillion has entered index funds in the US and Europe already. There are offshore investment platforms available, from a number of financial services companies, which allow you to match your personal preferences to a portfolio, so your money is invested passively, and in line with your requirements. If you want to do it yourself, this could be an option for you. Alternatively, you can just buy in to already established ETFs or index funds directly. Ultimately, the advantage of taking this tracking approach to internationally investing is that it spreads your risk widely, avoiding the losses that can follow a dramatic decline in any one specific company, sector or even country. Passive investing also keeps your costs as low as possible, even if you use an offshore investment platform for a guided investment approach. And of course, cutting your investment costs can have a dramatic and positive effect on your returns as well. The fastest growing economies in the world are in emerging nations across the planet – to cash in on that growth you have to take your investment to where it’s happening. Emerging countries with rapidly advancing economies have a burgeoning middle class, who are building wealth and hungry to consume and acquire. Include such a nation on your investment radar, ride the wave of advancement…enjoy the best growth potential possible. To enjoy riding on the wave of such companies’ successes you need to consider investing in different nation’s markets. International economic and market conditions ebb and flow – by diversifying your investment approach geographically you may be able to reduce risk. At the same time, you may be able to improve your risk-adjusted returns. You can diversify across currencies, markets, economies and financial instruments, and because currencies and markets all behave differently at different points in an economic cycle, you can create a diversified portfolio with strong protection against volatility built in. The main problem that investing internationally solves for expats, is that of having money scattered around different solutions and structures, in different currencies in different countries. This complexity is common, and it often leaves plans abandoned, pensions frozen and opportunities wasted. If you choose to manage your money internationally, you can avoid all of these issues. You can work your money to ensure it grows, rather than leaving it scattered around unmanaged. You also eradicate the problem of any logistical issues associated with accessing money left behind in a country you no longer live in. If you look offshore and take an international approach to seeking out the best returns, you can find tax efficient investment products and higher returning investment solutions. Subject to your qualification for such benefits, you could potentially enjoy much better returns and far lower taxes on your investments. When you consider that the UK is only 3-4% of the world’s GDP, you can see how limiting a singular investment approach can be. Look beyond geographical limits and seek out the world of choice and opportunity available to you and your wealth internationally. Using an international index tracker fund to gain access to another country’s stock market is a way to invest in a different nation’s potential relatively easily, and at low cost. There are an almost limitless number of tracker funds available globally nowadays. Whilst ISAs aren’t an option for non-resident Brits, trackers/exchange-traded funds (ETFs) certainly are. What’s more, an ETF can be tax efficient just like an ISA – depending on the way its structured and the tax status of the individual investor. An even clearer description for an expat investor considering this approach for the first time is that an ETF is a way to passively invest in assets such as stocks, commodities or bonds, just by tracking the performance of an index. The best investment funds are low cost, and very simple to understand in terms of the market or sector you have exposure to, and the level of risk you’re potentially opening yourself up to. As an investor looking to secure your position and gain wealth from broad diversification, taking a passive approach to offshore investments via tracker type financial instruments might be worth your consideration. The best investment funds for you will of course depend on various personal preferences and criteria, but the choice available is broad enough for there to be something available for virtually everyone.